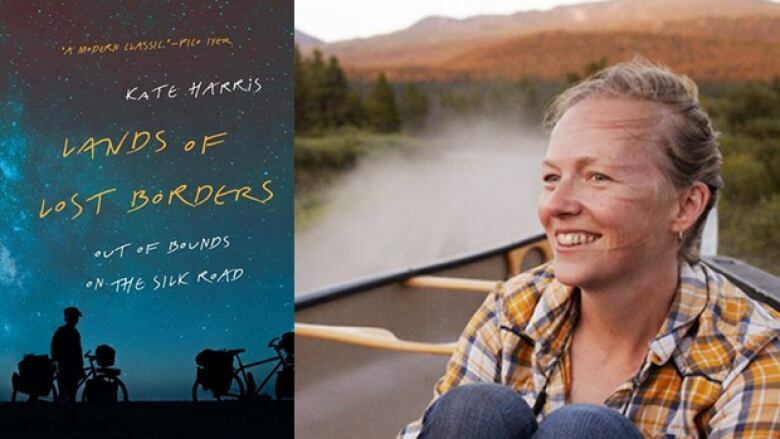 The explorer and writer describes how she wrote her new book, Lands of Lost Borders. Stretching across the vast reaches of Eurasia, the fabled Silk Road has hosted countless merchants, explorers and storytellers in its time. In Lands of Lost Borders, Kate Harris recounts her 10,000 kilometre cycling trip along the Silk Road, crossing into 10 countries — Turkey, Kyrgyzstan and Tibet, to name a few — with her friend Mel Yule. Along the 10-month journey, Harris explores the political, cultural and environmental history of the places and people she encounters. Lands of Lost Borders is on the shortlist for the 2019 RBC Taylor Prize. In her own words, Harris shares what it was like documenting this extraordinary trip. "When I was searching for an agent, I had this fairly bland travelogue that I was trying to shop around. The reason I ended up going with the agent I did is that he asked such generative questions. He was the one who made me step back and look at the context of this trip in my larger life. He kept grilling me with questions like: Why the Silk Road? Why at this period in your life? Why were you at MIT in the first place? Why did you quit MIT? "It's much easier for me to look outward and describe the way the light is falling on a lake or describe what someone said when I met them in a store when we stopped to resupply food. You're not vulnerable when you're doing that kind of writing. I don't think it should ever be easy. There should be as much risk on the page as there is on a trip on the Silk Road if you're trying to get somewhere extraordinary with it." "I have a whole stack of Moleskine notebooks from the journey. I was scribbling down fragments and ideas and images as I went, which would set me off back at the desk as I wrote. In my current journal, I have written down 'the wind has eyes like clods of Earth.' It just an absurd thing I wrote down. It makes no sense, but it would take me back to where I was, what I was thinking and whatever weird mood brought me to that image. These fragments from my journals would set me spinning with the writing." Kate Harris' comments have been edited and condensed.